I liked the look as soon as I saw these frames. They're more comfortable and just as light as the Silhouettes I've been wearing . My last pair of glasses was $60 and I decided to treat myself this time. You get what you pay for! I have some complaints about the size and shape of my head, but I can't blame that on the glasses. 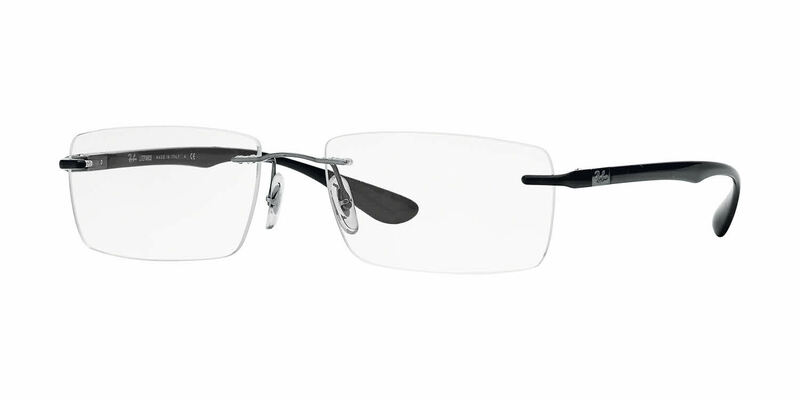 Very quality pair of frames from Ray-Ban. Put them on and they fit like a glove right from the start. Look great too. Only thing I might ask for is spring-loaded temples. Nice looking, light weight, terrible build quality. My lens keeps popping out of the frame even after installing new plastic fittings where the frame mounts to the lens. This is quickly becoming VERY annoying as they are extremely fragile when handling. Do yourself a favor and avoid these!